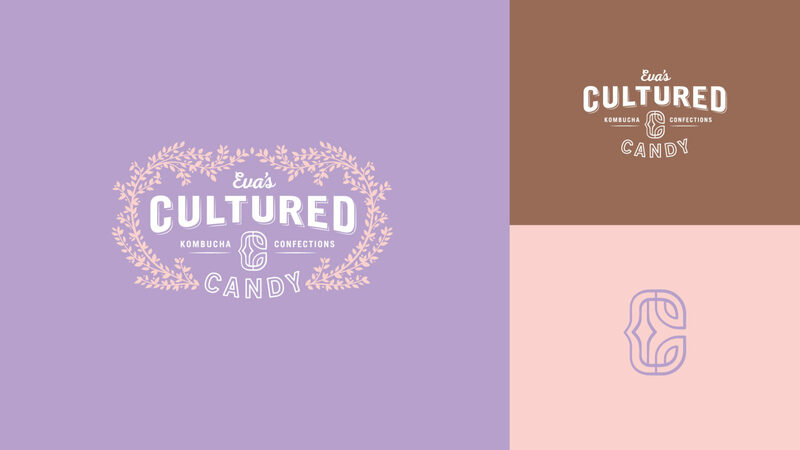 Eva’s needed a beautiful logo and packaging for their new kombucha candies. 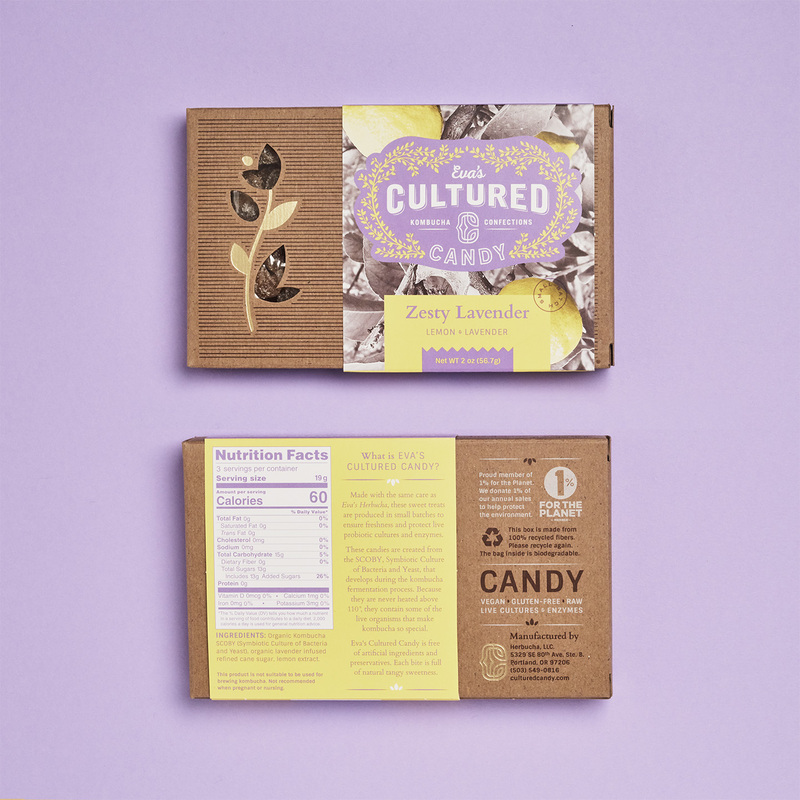 Eva’s Cultured Candies are a new healthy treat that puts the goodness of kombucha into a new tangy sweet candy form. Eva’s beloved Herbucha has been a healthy staple for almost a decade, blending herbs and teas to create a delicious kombucha tonic. But making kombucha results in lots of extra SCOBYs and it seemed a shame to let so much good bacteria go to waste so she decided to use it to create these deliciously unique candies. Eva’s has always been botanical based so we created a logo rooted in botanical forms. The logo badge is made from a floral filigree encircling strong bold type. The logo incorporates a monogram with the company initials that can be used in smaller spaces where the full logo is less appropriate. This monogram is featured on the back of Eva’s packaging in gold foil. 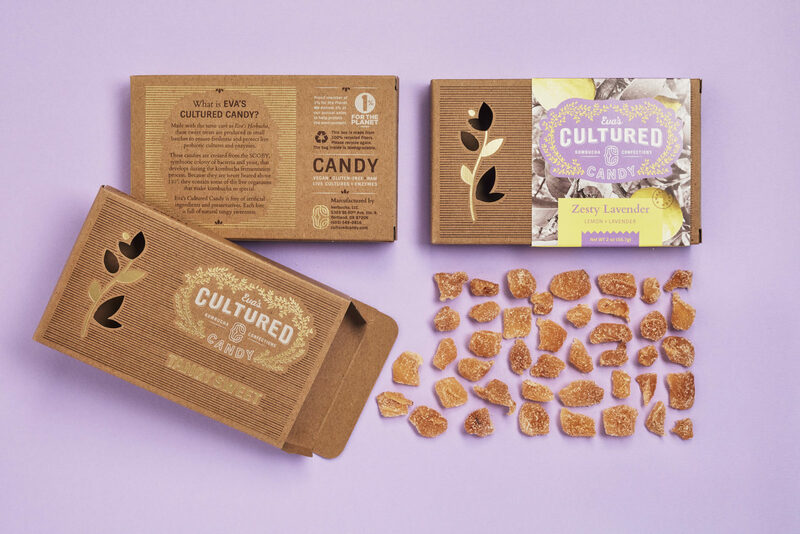 This elegant packaging design takes a traditional candy box shape and the clear cut out (a botanical shape pulled from the logo filigree) hints at the special treat inside. 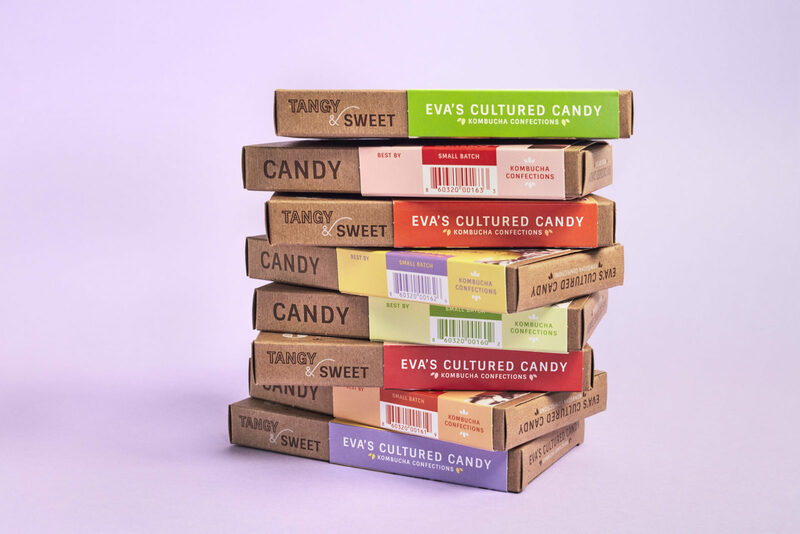 Because Eva’s is planning to experiment with a variety of flavors, we made one box that would work for all the candies and created bands to feature individual flavor profiles. Each band includes a black and white image with a featured pop color to accentuate the fruit flavor. 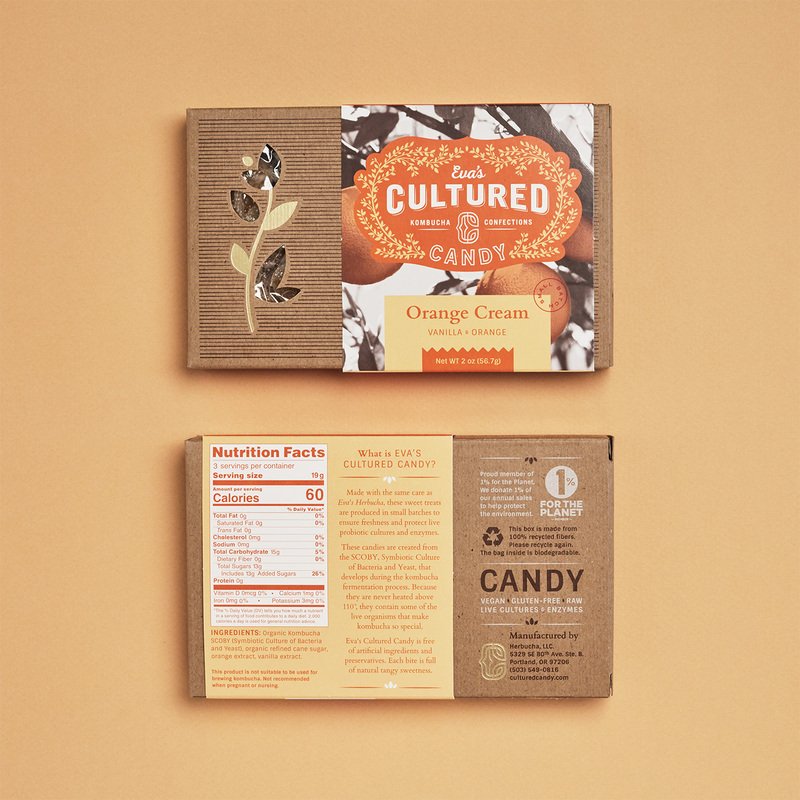 All the packaging materials are sustainable: the box and band are both recyclable and the bag is a biodegradable way to keep the candy fresh. 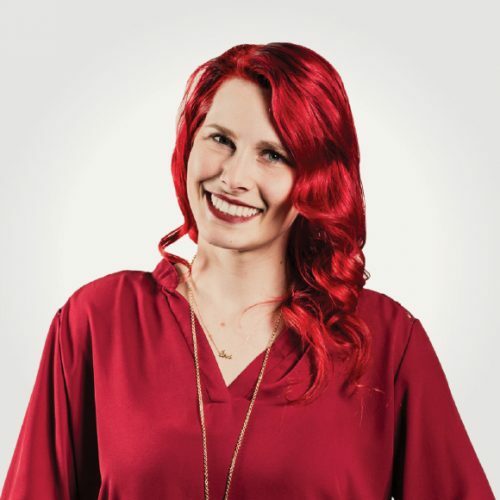 I loved having the opportunity to introduce consumers to such an exciting new product. I wanted to create a fun and approachable candy box that is as uniques as the candy's inside. 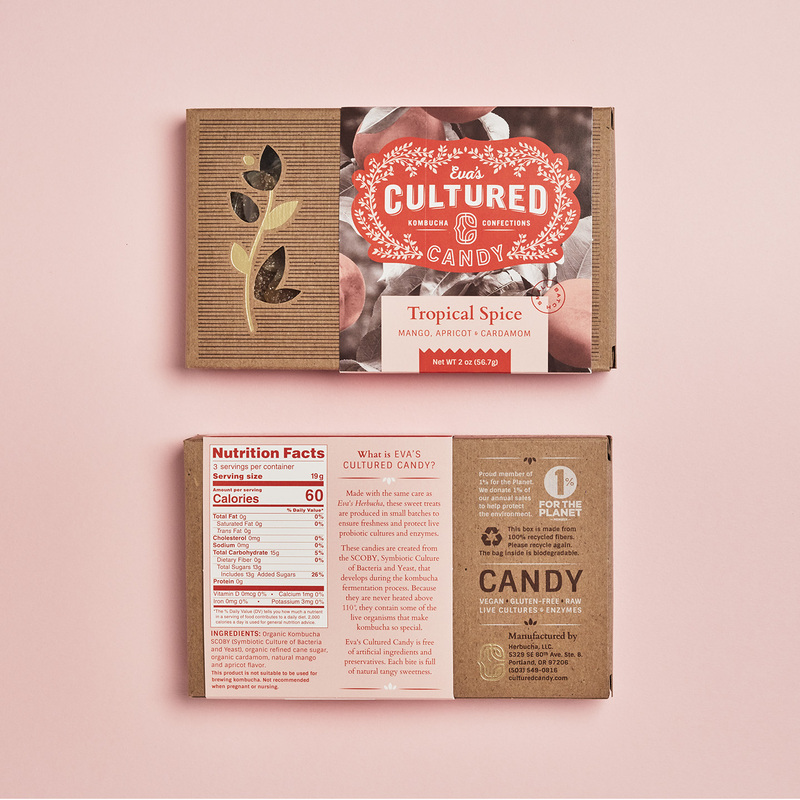 We honed the packaging messaging to clearly communicate the nature of the product and the benefits of these healthy candies. 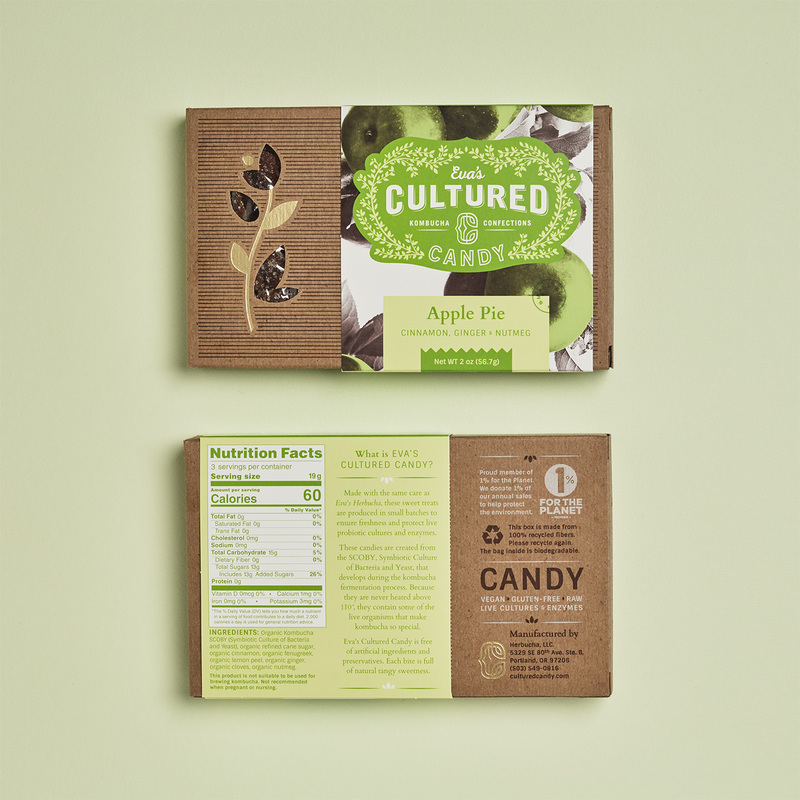 To the name Eva’s Cultured Candy, we also added the descriptor, Kombucha Confections, to further describe this new product. 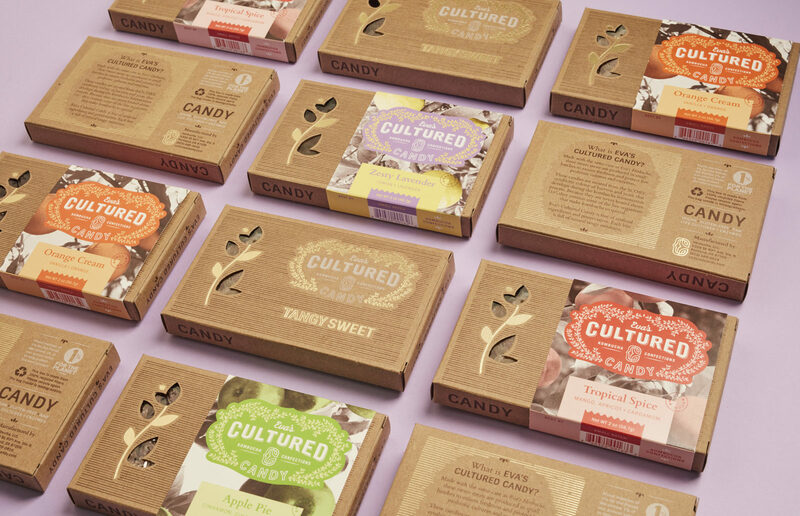 We also worked on the names of the candy flavors, making sure that these names evoked intriguing and scrumptious sounding desserts. Treat yourself to some sweet branding.